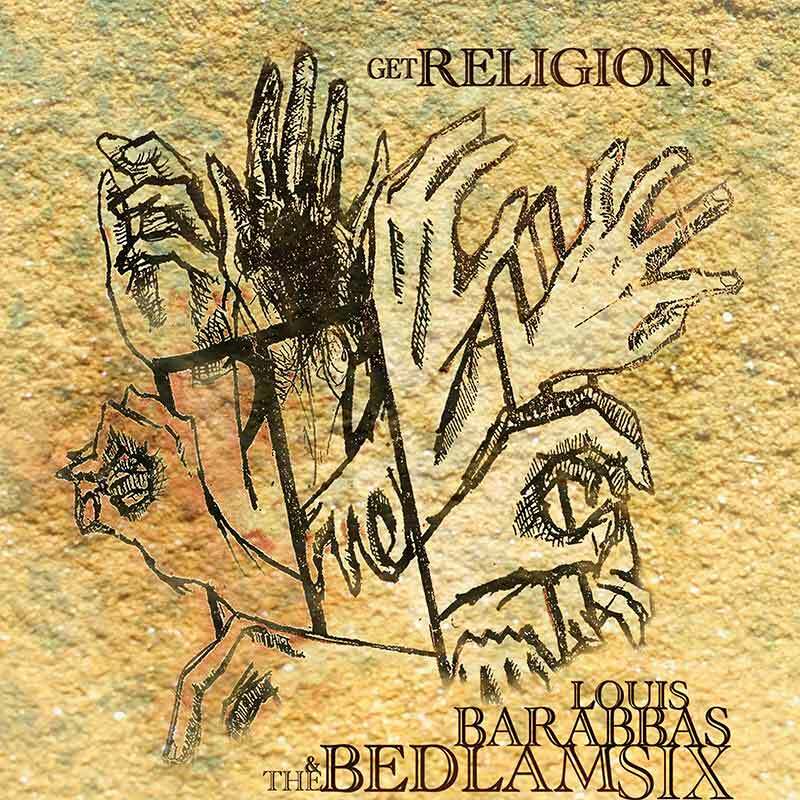 “Get Religion!”, the new studio record by Louis Barabbas & The Bedlam Six, is now on general release as both a download (from places like iTunes, etc) and as a carbon-neutral full-colour davinci presentation CD pack with eight-page booklet and original artwork by A. Valliard. The six-track mini-album features all the hallmarks that have made the band so popular on the UK alternative circuit: the vocal sparring of Alison Cegielka’s mellifluous soul tones and Louis’ broken-bagpipe growl, treading a tightrope over The Bedlam Six’s muscular rhythm section, grand piano, electric guitar and one-man trombone army. As well as the usual songs of love, lust and loathing, the record also resumes the story of Matilda the cat-killer (a projected ten-song narrative running through all the band’s releases, begun in their first album) with the eponymous heroine now blossomed into a jail-bound debutante.